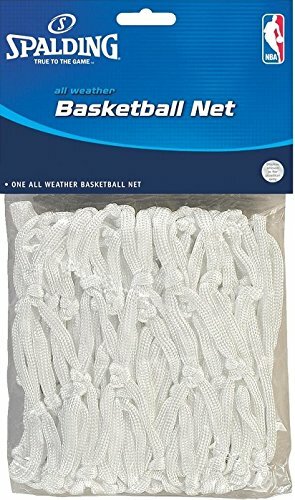 Quantity of (24) ea : Spalding 8284SR White All Weather Basketball Nets, NBA Endorsed. Packed 1 net per bag. Corset Style Basketball Nets With 12 loops. Drawn in Middle of Net to Control the Basketball as It Passes Thru Net. Polyethylene Thread Construction .